Celebrate with a Latin flare by hosting a fiesta. Serve your favorite tex-mex fare such as chips and salsa, tacos, and refried beans. Don’t forget the beverages: blend up margaritas or server sangria and Coronas. For decorations use authentic indigenous fabrics as your linens and create a tablescape of bright colored flowers arranged in vintage vases or bottles. 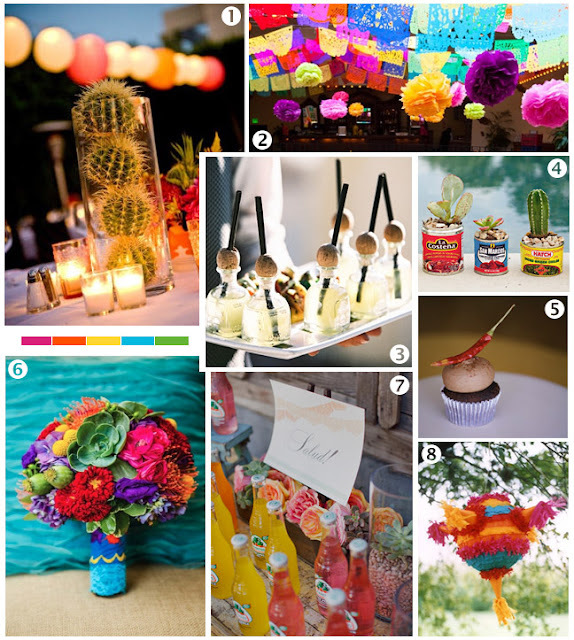 Set up a photo shoot with sombreros, maracas, and ponchos and let your guests create amusing pictures to capture fun memories of the night. Finally, keep the kids occupied with a candy filled piñata. 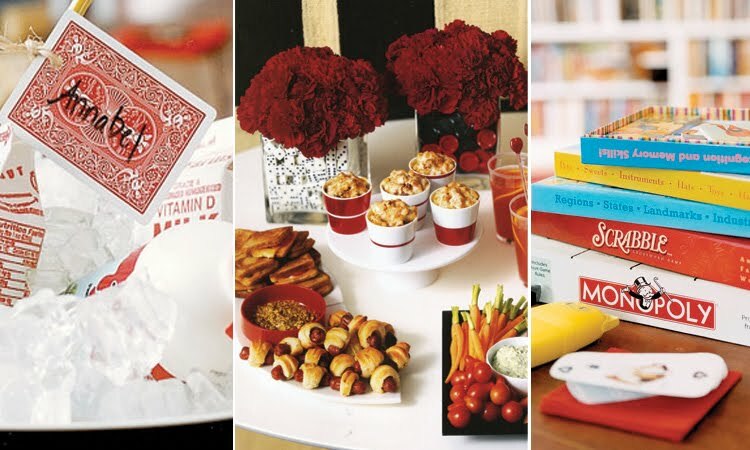 Involve all your guests with a rehearsal party game night. Pick your favorite games that allow your guests to interact with each other such as charades, Catch Phrase, or Trivia. Serve munchies such as pizza, popcorn, chips, and nuts along with your favorite beer and wine. After people begin to loosen up bring out the karaoke and experience the fun as it unfolds. If you love to travel, or perhaps you were unable to have the destination wedding you wanted, transform your rehearsal dinner into your favorite place. 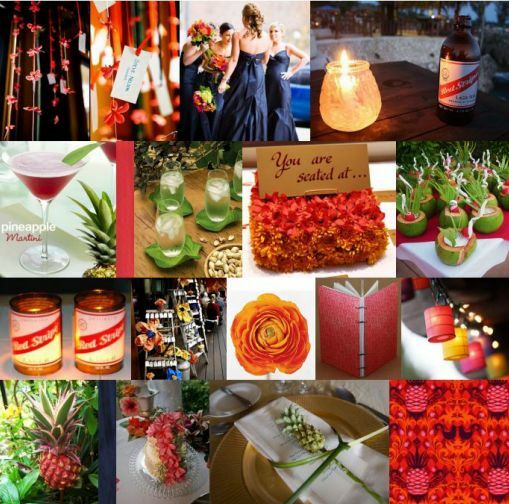 For a tropical themed party serve a sea food buffet with blended daiquiris, play Bob Marley or Jimmy Buffet, and use exotic flowers such as orchids to decorate your tables. If an Italian theme is more your dream serve family style pasta dishes along with Chianti, play classic Italian music such as Andre Buchelli, and use a Tuscan color scheme. 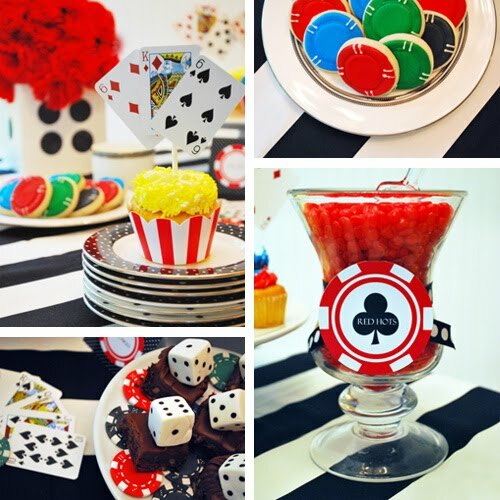 Host a casino party creating play money or poker chips with your personalized monogram. Have your wedding party take turns dealing black jack or poker. Involve everyone having bingo and raffle prizes. Serve hors d’oeuvres and a signature cocktail to keep the party going well into the evening. Posted in Events, Uncategorized, Wedding and tagged Barbecue Party, Casino Party, Fiesta Party, Game Party, Rehearsal Dinner, Travel Party, Wedding Planning.